Instantly downloadable sheet music by John Burke for guitar solo of MEDIUM skill level. Alle Notenausgaben von Misty zum Herunterladen bei VirtualSheetMusic. Alle Notenausgaben von Pennies From Heaven zum Herunterladen bei VirtualSheetMusic. Instantly downloadable sheet music by John Burke for piano solo of MEDIUM skill level. Instantly downloadable sheet music by John Burke for piano solo of EASY skill level. 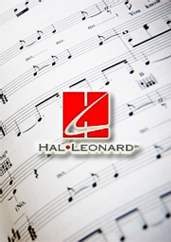 Alle Notenausgaben von Moonlight Becomes You zum Herunterladen bei VirtualSheetMusic. Instantly downloadable sheet music by John Burke for guitar of MEDIUM skill level. Instantly downloadable sheet music by John Burke for guitar of EASY skill level. Instantly downloadable sheet music by John Burke for voice and other instruments (Eb Instruments) of MEDIUM skill level. Instantly downloadable sheet music by John Burke for voice and other instruments of MEDIUM skill level. Alle Notenausgaben von My Very Good Friend, The Milkman zum Herunterladen bei VirtualSheetMusic. Instantly downloadable sheet music by John Burke for voice and other instruments (Bass Clef Instruments) of MEDIUM skill level. Instantly downloadable sheet music by John Burke for voice and other instruments (Bb Instruments) of MEDIUM skill level. Instantly downloadable sheet music by John Burke for voice and other instruments (C Instruments) of MEDIUM skill level. Instantly downloadable sheet music by John Burke for guitar (ukulele) of MEDIUM skill level. Alle Notenausgaben von An Apple For The Teacher zum Herunterladen bei VirtualSheetMusic.